When I started my first business, I was ignorant about many key features of a successful business. The ignorance that cost me the most was a lack of understanding of the importance of a keyword research. I didn’t realize that putting sometime into keyword research for your domain name could really help you rank on google. I choose a name for my site without doing a proper study to see how popular it was and what my competition was. I went further to write post and pages for my site with topics I did no keyword research on. After a while of working hard a ranking very poorly on google, I started finding out the reason for my poor performance and it all pointed towards inadequate or no keyword research. I will like for you to start your business on the right footing and avoid the mistakes I made. Of course you are going to make your own share of mistakes and hopefully learn from them (It is all part of the process of online marketing) but if I can save you from making mine that will be great. So lets begin by finding out what a keyword really is! A keyword according to the oxford online dictionary is a word or concept of great significance or a significant word mentioned in an index. For example, if you have a site that talks about strollers used for running/jogging then your keywords could be ‘running strollers, jogging stroller, best sport strollers…..and so on’. So a keyword in search engine optimization(SEO) is the word(s) that describe the content of a website and/or page/post best. 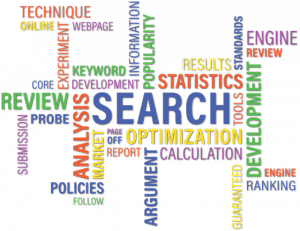 Usually, these keywords are the words people type in search engines like google when they are looking for something. When keywords are chosen right, visitors can get an accurate idea of what a site or page is all about from it. Why perform a keyword research? Now that is a question I wish I had asked early on. There are many reasons to perform a keyword research but the most important one for online marketing is ranking in search engines. Before we go into the details of the reason for performing a keyword research, lets explain what keyword research is. Keyword research is the process of using keyword tools to find out the actual words, phrase or terms people use for finding things on search engines. This information can help marketers to develop content and market strategies. Back to the reason for performing keyword research…. The right keyword can lead to better ranking on search engines and thus more traffic to your site. Search engine use keywords from an online inquiry to pull up a list of relevant pages for their online guest. Say for example, when someone types in google the phrase top ways to make money online, google will use its tools to find the pages that provide information on this topic. Google then ranks this pages using a complicate algorithm; for the most part, a better matching keyword and high quality content help in this ranking. If you rank first on a google page for a keyword that attracts 100 people a day, you will get a lot of free traffic to your site. This free traffic can lead to high or low conversion, depending on how well the said keyword is addressed in your content. If you rank high for the keyword how to get started with an online business, but have a content that talks about something entirely different, your conversion rate will be low. So it is important to make sure your keyword is a good summary of your content. 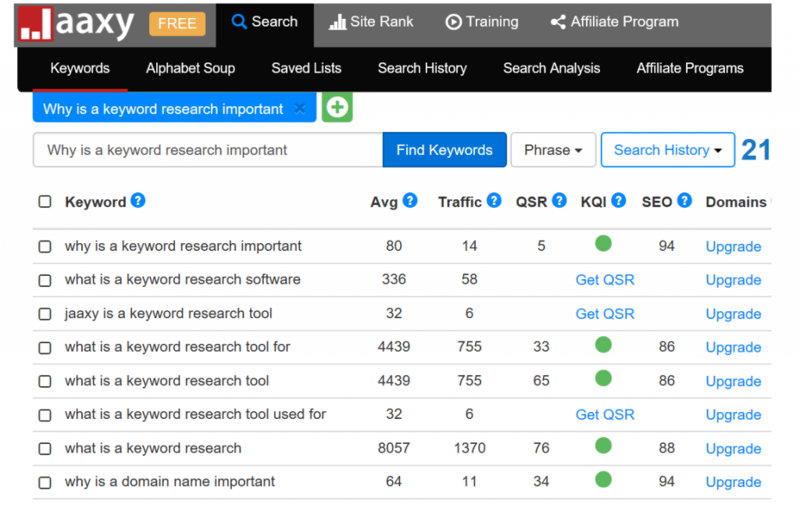 There are many free keyword tools; so many to discuss them all. I will discuss the three that I use. To use this tool, first you have to sign up for google AdWords and set up your account. You do not have to start any campaign. Once your AdWords account is set, go to the tool tab and select the keyword planner tool. Choose the search for new keyword option and fill in the boxes with the required information and submit it. There are three ways to search for keywords with this option. The first one is by website; so you simply type in the URL of your website or designated page and narrow the search to closely related terms (since we are looking for target keywords to optimize you site/page). The second way is by putting in your product type or services and the third option is to enter or select a product category. You can also narrow your location to target a specific geolocation. In this case I targeted the United States and the United Kingdom. You can choose to limit the date range or use the generic date rage of the ‘last 12 months’. You also have the option of including specific keywords and excluding others. Once you have all necessary boxes filled in and have adjusted all the settings, click on the get ideas tab and google will do a search for all related keywords in the designated countries and time period. Results show a variety of keywords, average monthly searches, competition and suggested bids. If you look at the image above, you will see that all keyword results are for low and medium competition. I like making my setting to select for those two sets of keywords because those are the ones I have a better chance of ranking high for. A key word with an average monthly search of 100-1k and low competition is easier to rank on google than one with a search rate of 10-100 and medium or high competition. You can use the keyword planner to find keywords from your competitors’ site simply by submitting their URL and following the steps above. This information can help you develop a market strategy and improve your ranking on the search engines. This is another great free keyword tool. You can use this tool to track the overall performance of your site. You can use the search analytics tool to find out how many impressions you get in a month, how many clicks your pages get and which pages are popular. You will also be able to get a rough idea of the position of your site relative to those of your competitors and which keywords/queries google is ranking your pages for. Note however that the google webmaster tool is only useful if you already have data in google. First you need to create a webmaster account and verify it. Once verified, google begins to collect data on your site (it takes a while). Once enough data has been collected, you can use this tool to get new keyword ideas and find out which ones you are ranking high on. Similar to google, you have to set up an account with Bing and verify it in order to use their webmaster tools. Unlike google webmaster, you do not have to wait for Bing to collect enough data on your site before using the keyword research tool. Bing has the tool placed as a sub-tab to the diagnostics and tools tab. 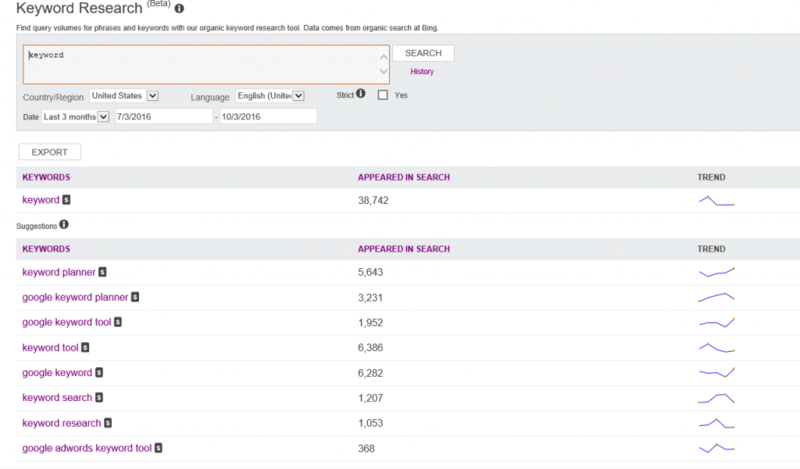 With the keyword research tool, you can search a keyword for performance over time in a variety of countries. You can do a broad search or a narrow search depending on your needs. The result you get will give you information on how many times a particular keyword appeared in search and what the trend was like for that keyword within the set time period. 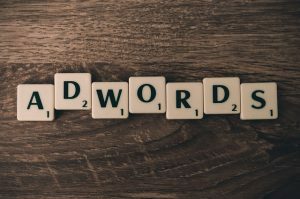 Depending on the type of business you are running, you might need to use a professional keyword tool to stay ahead of the competition. There are so many professional keyword tools that offer a plethora of information with regards to keywords. In addition to the free tools mentioned above, I use Jaaxy and Wealthy affiliate keyword tools for my research. Jaaxy is a professional keyword tool that offers a variety of tools to help facilitate keyword research. I will be doing a detail review on Jaaxy in the near future. Today, I am just going to outline the process of doing a keyword research and explain a few terms. SEO for calculations made from traffic and competition to get a score that determines how easy it will be for you to rank on the first page for that keyword. The higher the number the better your chances of ranking. Domains for availability of domains related to this keyword. If you need to read more about domains, click here. You can create a Jaaxy account for free and you will get the chance to do 30 free keyword searches. Once you have exhausted your free keyword searches, you will need to upgrade to get access to unlimited numbers of keyword searches. This keyword tool is very similar to Jaaxy because both tools are owned by the same people, Kyle and Carson. It is interpreted almost exactly like the Jaaxy tool and is available to WA premium member. Wealthy affiliate has a free starter membership that allows 30 free keyword searches with their keyword tool. In addition to keyword research tool, WA also have domain purchase platform, web hosting, website builder platform and more for the price of $ 0. There are three types of keywords; high competition, medium competition and low competition keywords. This kind of keywords are usually composed of three words or less and are highly competitive, for example, the ‘make money online’ keyword. This keyword has about 150320 searches a month and a competition of 246 sites. Ranking for such a keyword is tough, so it is advisable to stay away from such keywords. Keywords in this category usually have at least three word and are still competitive though not as high. The keyword ‘make money online easy’ falls in this category with 125 websites competing for that exact keyword. This type of keyword is used for highly targeted audiences; for example the keyword ‘how to make money online easy and free’. This keyword targets those people who are looking for ways to make money online the easy way for free. It has a competition of 44 websites, much lower than 125 and 246 and thus have a better chance of ranking in the first page on google. Is keyword research that important? Most people find things on the internet by typing keywords into a search engine. If you fail to do a proper keyword research before writing content for your site, you might end up working so hard but ripping little or no reward (it happened to me). There was a time when keywords where extremely important but nowadays, that is changing due to spamming. Many people use targeted keywords just to draw traffic to their site even though they have nothing related to that keyword on their site. More so, other methods of marketing like social marketing and email marketing are increasingly being used to drive traffic to sites. That said, keyword research is still very important for online business for the part it plays in ranking on search engines and driving traffic to your site. I hope this post is helpful. Did I miss anything? Please don’t hesitate to fill in the blanks. Any objective comment is highly appreciated. Keyword research is important, that is for sure. I did not know about setting up a Bing webmaster tool. That is something I now see that I need to do. I have honestly not seen much information on the Google Webmaster tools that has been that helpful to me yet. I might just not know how to interpret the data. I do know that Jaaxy is a must have keyword search tool. The problem with the free keyword tools is interpreting the results. 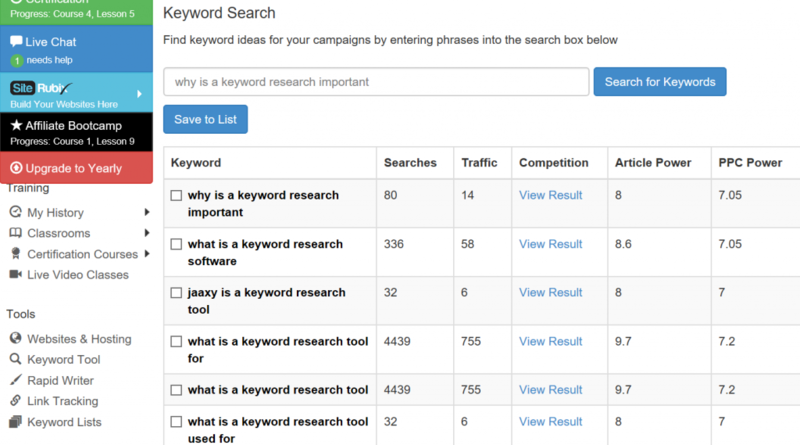 Paid keyword tools like jaaxy break it down and makes it easy to understand.